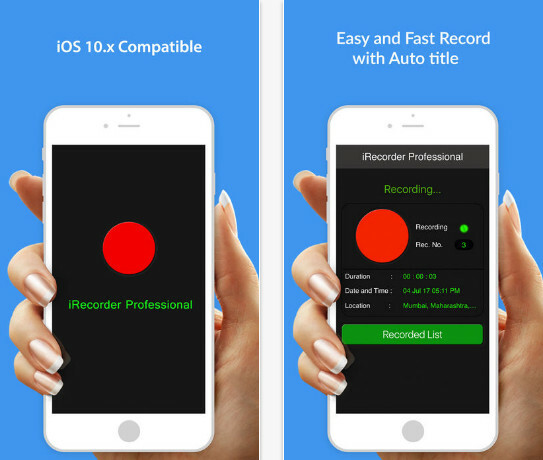 iRecorder Professional Lite App is simply awesome and easy to use we can say that completely one tap record and stop. Very cool new designs also its compatible with all iPhones up to the latest.If you want to just record a memo, some important news, messages, songs, or lecture you can do it easily. Also, you are able to email all those recordings via email one by one. so just grab it and publish to your own account. – Attach current location with sounds.